A specific pressure technique applied to the feet, where all of the internal organs are mapped or mirrored in miniature. On the feet are reflex points that correspond to different organs of the body. Working over these areas can help balance the nervous system and reduce stress. A relaxing yet invigorating experience, which promotes health & wellbeing. This massage is beneficial for injury protection, detoxification assistance, and can help increase range of movement and flexibility. A full body massage incorporating heated basalt stones, which instantly relax the muscles allowing the treatment to work at a deeper level. Our essential oils are individually chosen to suit your specific needs and requirements. We can also tailor a personalised massage in which you can select your favourite elements for both men and woman. Swedish massage, deep muscle and a range of aromatherapy, detoxifier, destresser, muscle relaxer are also available. This rejuvenating facial is perfect for all skin types, and can help revitalise dull, lifeless skin. This deep cleansing facial helps to soothe and calm the skin, encouraging a more balanced and clearer complexion. A rehydrating facial that leaves skin smooth & rejuvenated. This deep cleansing facial helps to regulate oil secretions and refine open pores. A comforting facial for sensitive skin prone to redness & irritation, leaving skin calmed and nourished. Reveal exceptional results whatever your skincare concern with this entirely bespoke expert facial from ESPA. Naturally advanced spa skincare products, rich in plant and marine extracts, are selected according to your individual needs, and used alongside tailored massage to deeply cleanse, exfoliate, purify and boost your complexion. This customised treatment is then completed with a divinely relaxing scalp massage. Seaweed wrap on the legs, leg massage, foot scrub and hot towel foot mask with our clay mud, and foot massage. Salt & oil body scrub followed by our seaweed & clay heated mask with a scalp and foot massage. Invigorating back massage with hot stones, followed by a men’s express facial to soothe and repair environmental damage to the skin. An individually-tailored full body treatment combined with scalp massage is designed to detox and balance the body, whilst removing any particular areas of tension and stress. The seaweed-based oil nourishes and protects the skin. An individually-tailored back treatment designed to moisturise and detox the skin. Transform and re-energise tired, achy feet. Scottish seaweed foot & hand scrub, followed by a relaxing massage to hydrate and nourish. 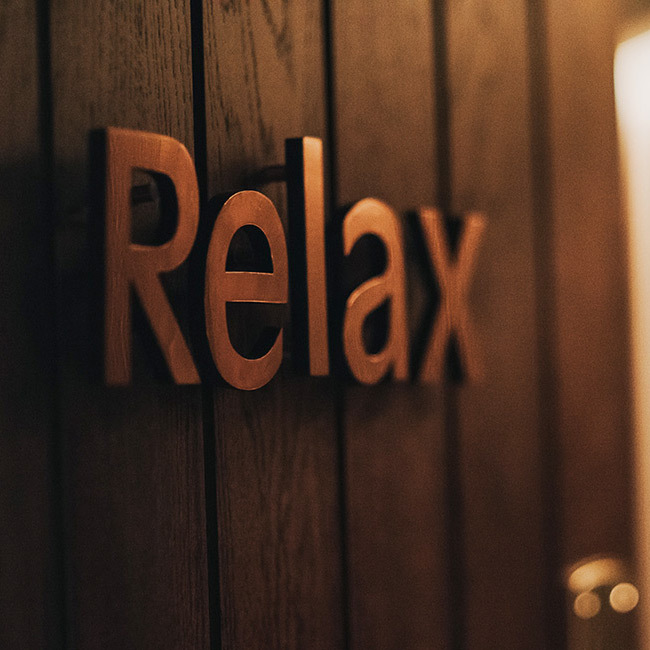 Even if you are in a rush we invite you to take a moment to relax & de-stress. Known as the ‘can’t live without’ pro spa signature manicure. Soothe, relax & indulge with the ultimate OPI Prospa pamper manicure – the crème de la crème of manicures. Quick, effective and so relaxing, this OPI express pedicure features essential OPI Prospa products to provide a condensed spa pedicure service that doesn’t sacrifice on a premier experience. Experience a new standard in pedicure services. Using our OPI Prospa products to soak, exfoliate and smooth the feet, the service is completed with a regimen of massage & acupressure techniques. Soothe, relax & pamper with the ultimate pedicure experience. The OPI Prospa pamper pedicure includes unparalleled softening, exfoliation, moisture & protection. We invite you to arrive at our spa reception a minimum of 20 minutes prior to your scheduled appointment time. This will allow you to fill out relevant pre-treatment paperwork, and change into your bathrobe and slippers. Treatment times are inclusive of consultation and home care advice. Bathrobes & slippers will be provided for you during your time at AURA Health Spa. The perfect indulgent package to give your skin and spirit that well needed boost. This package includes: a 25 minute salt and oil body scrub & the choice of either a 50 minute full body invigorating massage or rejuvenating facial. These treatments will give you a relaxing flavour of what ESPA has to offer this package includes: a relaxing back, neck & shoulder massage followed by a time precious facial. The perfect start to your bridal preparations to ensure you are vow ready. This package includes: opi pamper manicure or pedicure with gel, a complete eye treatment (eyebrow shape & tint, eyelash tint) & bridal make up with strip lashes. We also offer a range of other treatments such as eyebrow tints, shaping, waxing and make up. ESPA’s highly effective and therapeutic range of products and treatments combine the restorative powers of pure nature and proven skincare science to visibly enhance your skin. 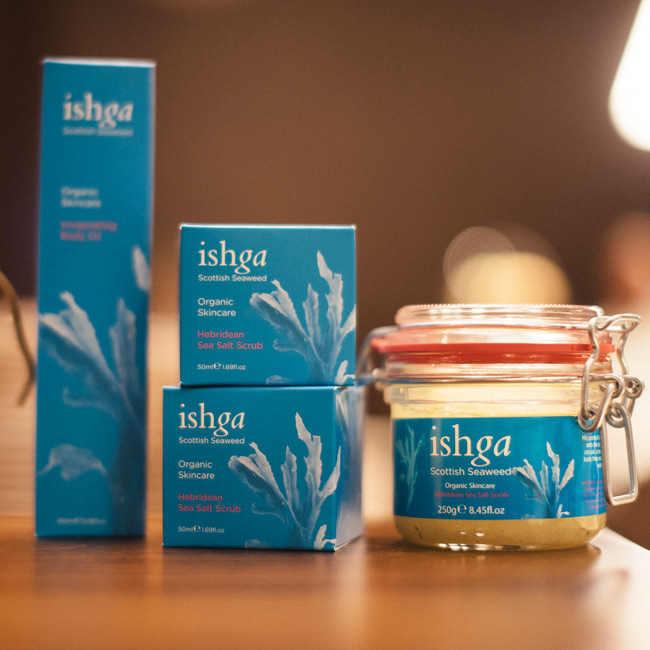 Ishga products have been developed in the Outer Hebrides, using the highest quality and purest Scottish seaweed combined with water from a natural spring situated on the beautiful Hebridean Isle of Lewis.